[The Duel will come out with a $10 parlay angle every day, tracking success on a rolling seven-day span. In the last seven days, The Duel staff has gone 2-5 in parlay bets with a +$9.22 payout differential. This month, we're down $0.78]. Whether it's a coincidence or not, the Hornets are 0-8 without Tony Parker this season – and ​he'll be out once again tonight. That's not even the most concerning aspect of tonight's game. Charlotte is a very suspect 1.5-point favorite over Atlanta, and that's a huge difference from where the spread was in the previous three matchups – 11.5, 6.5 and 12 points. The 6.5-point spread was from the game in Atlanta and the other two were in Charlotte. Point in case, sportsbooks think the Hawks have closed the gap enough to make this essentially a pick em. Time for some weekend hoops. Both of these teams played in high-scoring matchups last night, so it's only natural to expect a let-down game tonight. Not to mention, both of these teams look quite different after the ​trade deadline, which could very well play a factor in a lack of offense this evening as well. You have to think guys like Otto Porter and Bobby Portis are excited for a chance to go against their former teams, but they also have to be mentally drained from all the real-life aspects of being traded. Not to mention, both teams played on the East Coast last night and then had to travel to a different time zone in Chicago. Make no mistake about it, these teams will both be tired tonight. We highlighted a betting trend that points to the over in ​our betting preview for this game, so we might as well put it to good use. 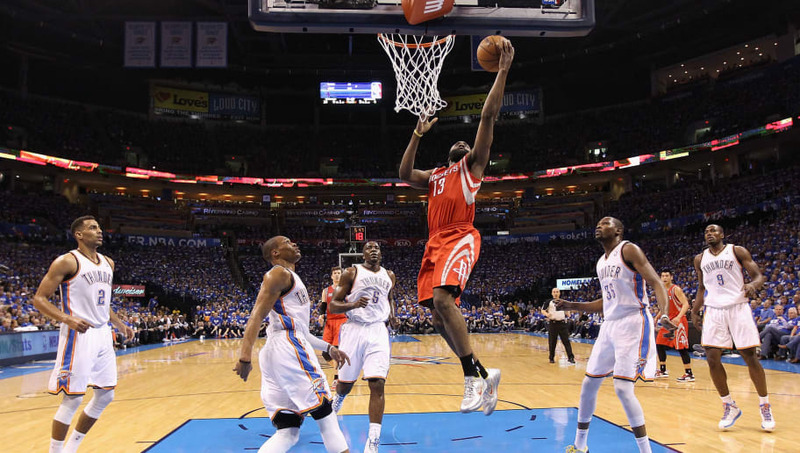 Five of the last seven Rockets' games have gone over the total, while 12 of the last 15 Thunder games have also gone over the total. Not to mention, James Harden and Russell Westbrook going head-to-head has about 300 points written all over it.